When Yorkshire hosted Le Grand Depart for the Tour de France in 2014, cycling in Britain was already going through a sort of renaissance. Yet since then, the frenzy for freewheeling has gone into overdrive. Because we all like a stat, the economic impact report for the UK’s delivery of Le Grand Depart says that it generated more than £100M for the local economies involved and inspired some 2M Britons to get cycling. Around half are said to have stuck to it. And that’s perhaps why Britain is now smattered with buoyant local cycling groups and their respective cycling festivals. What’s more, the month of June has become the centrepiece for Bike Week. So lycra-up (we’ve seen it all by now). 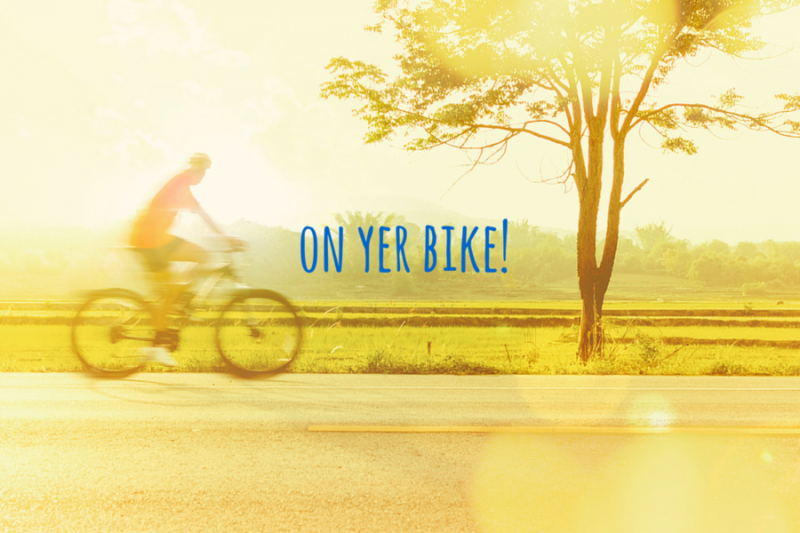 Get in gear and pedal on to some of the UK’s best cycling routes and celebrations. The Leeds to Bradford Cycle Superhighway is now open! And to celebrate they’re calling for all cycling commuters to bring along a non-cycling or cycling-sceptic friend to their Bike Breakfast on Friday. Remember Tarka the Otter? Well today you can cycle (or walk) the route this character took in the books around the north Devon coast. The 30 mile stretch between Braunton and Meeth following disused railway track and is completely vehicle free. Oxfordshire has more than its fair share of rural lanes that are, for the most part, perfect for cyclists. And the growing number of weekend cycling groups on the county’s roads ensures that drivers are increasingly wise to and accommodating of cyclists too. We could say this a lot in this post, but does British countryside get any better than this… The wild horses certainly don’t want to leave, so why should you. The mix of terrain means that while the cycling renaissance is mostly focused on road riding and racing, there’s plenty of off-road and mountain biking options here too. Make a family day out on an easy paced ride from Romsey to Ashurst. Stop for lunch at the New Forest Wildlife Park then saunter back. We couldn’t mention mountain biking and off-road cycling without giving a nod to Moors Valley Country Park. It bridges these two beautiful counties south of Fordingbridge and north of Bournemouth. Whether you’re a novice or are nurturing a cycling fad in the family youngsters, there’s a challenge for all abilities here. As part of Bike Week there’s a mountain bike orienteering event that’s open to all including accessible bikes and children. Pembrokeshire leads the way with cycling events as part of Cycle to School Week that’s encouraging parents and children to get active and to cycle safely. Gotta start ‘em young! And doubtless the cycling adrenalin junkies of the UK will be hitting Snowdonia for some uphill and down dale adventures. But it would be remiss of us not to mention that one of our Pembrokeshire cottage company owners, Tim Brace, is cycling a charity event to raise money for the Wales Air Ambulance as part of Bike Week events in Wales. Good luck! If you think East Anglia is flat, you’re not entirely wrong, but doing Norfolk by bike may just change your view on how much undulation there actually is. How could we talk cycling and cycling events without mentioning Brompton. A great British invention (made in London, don’t you know) that has a somewhat quintessentially loyal British following. You need a Brompton to compete in their events, but at least you don’t need to worry about how you’re going to get it to and from the venue! No excuses now. There are more than enough puncture repair kits in the shops. And a cycle army of volunteers to cheer you on or appease sceptics. It’s no longer taboo to own padded shorts – on yer bike!